Vijayawada are Kanaka Durga temple and Mangalagiri temple.At a distance of 37 km from Guntur, 273 km from Hyderabad, 354 km from Vizag, 453 km from Chennai and 643 km from Bangalore, Vijayawada, also known as Bezawada, is the second largest city in Andhra Pradesh State and also one of the top Places to visit in Andhra Pradesh. It is located on the banks of the Krishna River to the South, Budameru River on the north and the Indrakiladri Hills on the west. This is the largest railway junction of the South Central Railway, situated along the Chennai-Howrah and Chennai-Delhi rail route. The temple is open from 5:00 AM to 9:00 PM on all days except on Thursdays when it is closed from 1:00 PM to 5:00 PM. However, there are separate timings for idol visits and other personalised pujas. 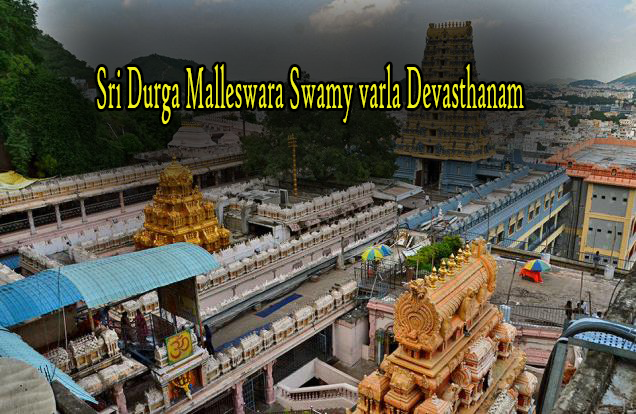 The Kanaka Durga Temple is a famous shrine dedicated to the Goddess Durga. Located in Vijayawada of Andhra Pradesh, this astounding architecture is built in Dravidian fashion. The temple is surrounded by the gentle hills of Inrakeeladri, right along the banks of the Krishna River. 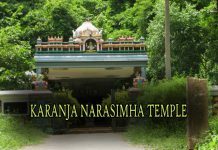 This ancient temple finds mention in many sacred texts and Vedic literature as well and is a revered temple among devotees and followers. People visit this temple every year to show their respect and devotion to the Goddess Supreme and seek her blessings. The temple has detailed timings and rules of darshans and seva opportunities which can be booked online on their website. The temple also runs a food donation programme as a part of their many charitable activities. The Kanaka Durga Temple of Andhra Pradesh is one of the many Shaktipeethas that are situated in the country. The goddess appears in her Mahishasurmardini form here, along with the slain demon king Mahishasura. The imposing image of Kanakadurga is a humbling and unforgettable sight. The deity’s face and body colour are of molten gold shade, and she is also bedecked with golden jewellery from which the temple gets its name Kanaka Durga – Kanaka in Sanskrit means gold. Kanaka Durga Temple has a rich history and many legends associated with it like most of the ancient Indian temples. Apart from the most famous Goddess Durga legend of defeating and killing the demon king, there are also some others which add up to the significance and austerity of the temple. The deity is said to be Swayambhu or self-manifested. The Krishna Pushkaram is a popular festival here that is held once in every twelve years. Apart from this the other common festivals celebrated here includes Diwali, Dussehra and Makara Sankranthi. The Vijayawada airport is located at a distance of around 20 km from the city, at Gannavaram. It has flight to Hyderabad, Visakhapatnam, Bangalore, Coimbatore and Delhi. The Vijayawada railway station is connected to several major cities of India like Chennai, Trivandrum, Bangalore, Hyderabad, Kochi, Bhubaneswar, Mumbai, Gandhinagar, Jaipur, Bhopal, Luknow, Jammu, Bilaspur, Pondicherry, New Delhi, Kolkata, Varanasi, Patna and Chandigarh. Vijayawada is also well connected by all the major towns and cities in Andhra Pradesh. It has regular buses from Chennai, Tirupati, Bangalore, Hyderabad and Vizag. 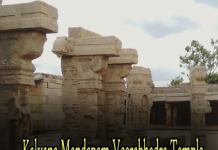 The best time to visit Vijayawada is from November to February while the peak season is from November to February. Usually it takes 1-2 days to visit places in and around Vijayawada. This is very humid place and summer is usually very hot and humid.